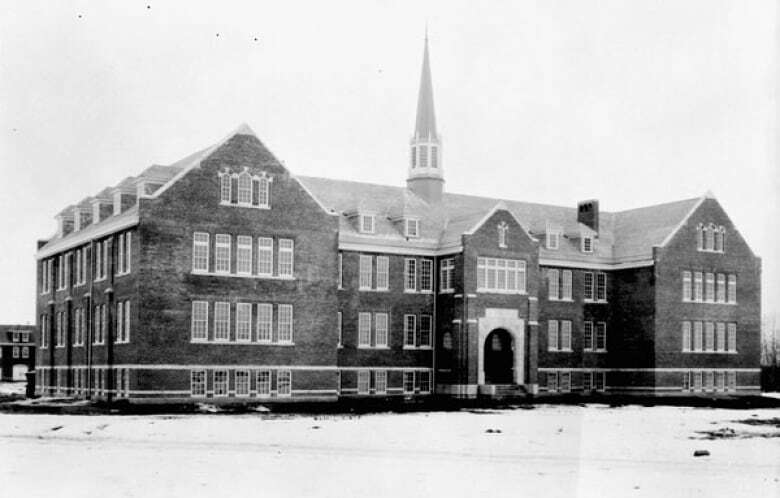 The Edmonton Indian Residential School may be 50 years into the past, but the effects are still felt by survivors and their families today. The Edmonton Indian Residential School closed 50 years ago, but its effects are still felt by survivors and their families. About 100 people marched down Jasper Avenue in Edmonton on Wednesday in an event called Walking on Common Ground. The march marked the 50th anniversary of the closure of the residential school and the 45th anniversary of Poundmaker's Lodge Treatment Centres, which opened in its place. Members of Indigenous communities started the day with a traditional healing ceremony at Poundmaker's Lodge, which is now an Indigenous-led treatment centre for mental health and addiction. In the afternoon, the group carried flags from Alberta, Nunavut, Northwest Territories and the Tlicho First Nation. Others carried signs asking for help and calling for unity as they walked from Canada Place to the Alberta legislature. Many of those walking were family members of people who survived the atrocities in residential schools. Others, like Noella Willier, were survivors themselves. "What I remember mostly is the fear," Willier said. "The continuous brainwashing that has actually affected my whole way of life. It was not only stealing who I was as an Aboriginal person, but actually how I saw myself in the world." Willier said she has spent the last 50 years finding her place in the world after her culture was stolen from her. "It took so many years of struggling to find out who I was to begin with," she said. "The [Edmonton] Indian Residential School has really broken my spirit." Brad Cardinal, executive director of Poundmaker's Lodge, said the walk was meant to raise spirits and acknowledge the hardships people faced, in hopes it will help them heal. "It's an important time for us to remember the stories, remember the history and also remember the children who didn't make it home," Cardinal said. "Children were abused in that school, they died in that school. And there were some horrific experiences." Though it is painful for some survivors to recall their experiences, the truth can set people free, said Michelle Nieviadomy, assistant director of the Edmonton Native Healing Centre. "You always have to come back to the truth, the story of our history and residential schools," Nieviadomy said. Nieviadomy helped organize the walk. She invited members of many communities, including politicians and members of the faith community — two groups that had a hand in running residential schools. Bridging gaps was part of what the walk was about — walking on common ground. "We all have a part to play in reconciliation," Nieviadomy said. "Everyone's part may look a little bit different, but we want to walk together and stand in solidarity together." 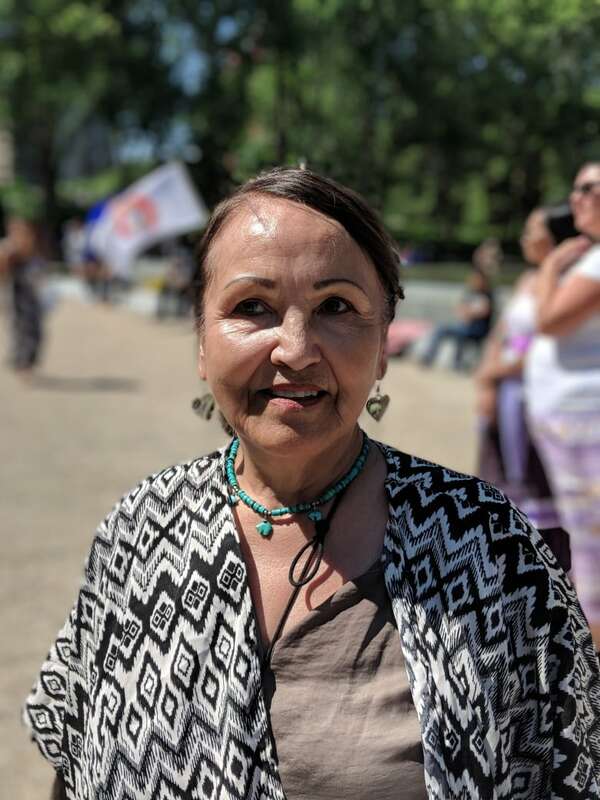 At the legislature, marchers gathered to hear speeches from community leaders, including Willier, who asked listeners to be the change they want to see. Willier said events like the march are steps forward, both figuratively and literally. "The event today brings me forward in wanting to walk on common ground," she said. "Reconciliation is an action word, and it requires mutual respect and mutual understanding."